I never travel without snacks, especially after once forgetting to bring along something munchy on a day-long adventure in Dubai. Activities and sightseeing often mean irregular meal times, so now I always stock my backpack with quick eats to ward off hunger when I’m out and about. Recently I sampled a yummy new product that provides a boost for sagging energy. 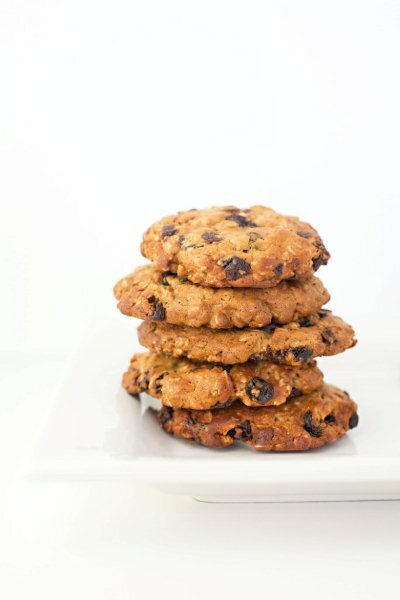 The Magic Cookie is a product made and distributed by the Dallas company called Biosanes, which means “life and health.” Not only is the natural oatmeal raisin cookie tasty, but it meets the nutritional requirements of a meal for both adults and children. Co-founded by a mother-daughter team, Biosanes also makes a gluten-free granola cranberry cookie and a meal replacement shake. I tried both cookie flavors during my recent trip to Switzerland and can recommend either as a healthy snack. I’ve tried other meal replacement bars that were hard to digest (probably too much fiber), but that wasn’t the case with Magic Cookies. Here's the nutritional breakdown: protein 7 g, carbs 32 g, soluble fiber 4 g, fat 8 g, calories 170. These products can also be used for weight loss, although that wasn’t my objective. If you want to check out Biosanes products or order the cookies online, go to www.biosanes.com. Right now you can do even more good—your healthy choice will help someone in need have a nutritional meal. Between now and September 30th, when you buy a box of Magic Cookies (7 or 14 count) one person receives a healthy meal from the North Texas Food Bank. Cookies are sale priced until July 31. Phone: 888-670-5433.